What makes Dr. Risos unique is the way she thinks of patients. She treats you as she likes to be treated herself! She’ll check your blood pressure and your medical history at every appointment, and review the medications you’re getting from every doctor you’re seeing. I cant have my teeth in better hands, Dr Risos is the greatest, love her Chula Vista dental office, nothing but the best stuff, i like going to her office before lunch time, they always invite me to eat with the office, they are all so nice! But the most important thing with them is their professionalism always on time, if i have an appointment its always on time, i never have to wait for such a long period. Dr Risos is sometimes too nice, she always go out of her ways to help people. Over all theres almost nothing bad too say about this practice. I went to Dr. Risos office in Chula Vista because of an excruciating toothache. 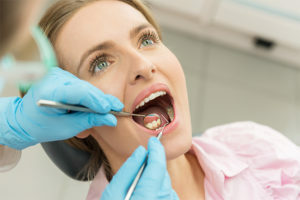 I had not established myself at hers- or any - dentist office in the area and was nervous about both showing up to a new practice and also trusting her enough to guide me towards the best solution for my pain (as opposed to a flashy, inevitably more expensive solution that I feel some dentists push on you.) She was highly recommended by friend's and my experience did not disappoint those reviews. She was thorough, empathetic to my pain, and when it was evident that my infection and issue was too great a need to be met at her office she referred me to an excellent oral surgeon in Hillcrest. She ensured that I was able to get in within the hour- and because of her diligence I had the entire issue taken care of by later that afternoon. Looking forward to going back for my annual exams and routine dental work in the future! This is the only place I will go for the attention to detail on my dental needs. The staff hands down are Awesome they actually care about you as a person. Sheldon keeps it all in order the El Capitan if you will, you have questions about billing or if you are unsure of anything just ask him. Keep up the great works guys! First of all they are open on some Saturdays! what a great idea in Chula Vista! It was my first visit with my 16 year old daughter for exam, cleaning and i guess I needed a fill...We were the last appt of the day, we were in and out in 2 hours...I did not feel rush at all. I have gotten my teeth clean before but PAM (hygienist) gave me the best cleaning ever! Front office staff is very professional...The girl that took my Xrays ( JLO) is super friendly and funny...Dr Deana Risos is very thorough in explaining everything to me...And they even fit me for a mouth guard! You can tell they are all happy working together! Great experience! Now I cannot wait to come back in 3 mos for a check up! Thank you very much for such a great dental experience! Dr. Risos and her staff do a great job of explaining what they are doing during a procedure. Dr. Risos is one of the best dentists I have ever had...and I hope to have her as my dentist for a long time. I recommend her and her staff very highly! I absolutely ADORE Dr. Risos!! I am new to Chula Vista and went to YELP for a good recommendation. Dr. Risos had great reviews, so I chose her. Had to have 3 crowns and she did an amazing job! She is patient, does everything she can to make you comfortable, and walks you through everything she is doing. Let's face it, nobody likes to go to the dentist! But she takes great care of her patients. Not to mention she has a great personality and awesome staff!! So glad I found her!! Dr. Risos and her staff are very knowledgeable, friendly and accommodating. If you are at all nervous about visiting the dentist she will put your mind at ease. During whatever procedure you may need they will stop every once in a while to check on your well-being. They are very attentive to their patients needs. I always feel well taken care of here and I highly recommend Dr. Risos. Deanna Risos, DMD is a Chula Vista Dentist providing a variety of dental services including family dentistry, general dentistry, cosmetic dentistry, smile makeover, sleep apnea treatment, teeth whitening, root canal & more to residents in Chula Vista, CA and surrounding areas location in the South Bay & San Diego regions.